Henighan, Fallis, Gaston, & Dearing, originally uploaded by johnwmacdonald. 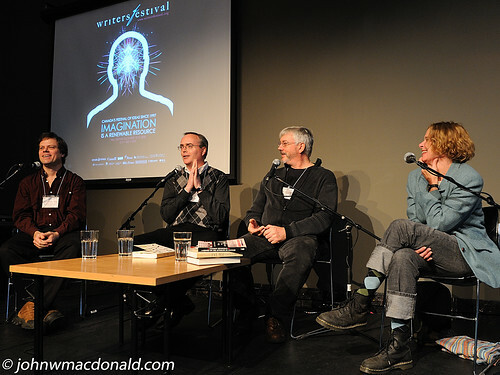 Stephen Henighan, Terry Fallis and Bill Gaston with Ottawa International Writers Fest host Sarah Dearing. Pictured here is Fallis (Leacock Prize winner) showing us all how to position the hands in order to look like an intellectual while answering questions. Funny guy.